Most of us have no idea, just how good your body is designed to feel. Through regular Yoga practice you will feel physically strong and supple. Yoga works on the whole self – body and mind. Practicing Yoga will strengthen your mental focus as well as making space to allow the body and mind to settle, relax and unwind. Your Yoga practice will leave you feeling invigorated, with energy levels you never thought possible. 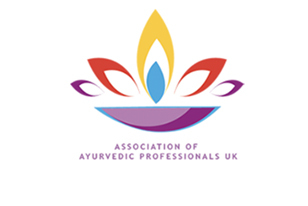 Yoga asanas (postures), pranayama (breathing techniques) and meditation practices have a positive and stimulating affect on the internal organs, immune system, digestive and lymphatic system, therefore providing a therapeutic treatment for many conditions. For many people, practicing Yoga is simply a form of exercise or a way of alleviating the stresses of modern life, but ultimately, the practice of Yoga is a truly holistic approach to health. It has a positive effect on the whole self, both physically and mentally. Yoga classes are practiced in a friendly, non-competitive environment and are suitable for all levels. Beginners Yoga. If you are completely new to Yoga, this is the ideal place to start. The pace of the class will be slower to allow you to time to practice and gain a good understanding of the postures. Props are available to help you achieved correct alignment in the postures. Hatha Yoga for All. This Hatha Yoga class is open to all levels of ability. If you have never practiced Yoga before, you are encouraged to come along to the class early to meet the teacher and have a chat to prepare you for your practice or to attend the beginners class. The classes taught are firmly grounded in the traditional Hatha Yoga asanas (posture). The teachers skilfully blends Yoga asanas with breath work (pranayama) and meditation practices to rejuvenate and nourish the whole self.On a physical level, a regular Yoga practice will promote strength, balance and mobility. Total well being is attained by connecting with and balancing the mind, body and spirit. Vinyasa Flow. At this class, you can expect a more dynamic class. The postures are skilfully linked to the movement of the breath to create a invigorating, flowing class. Vinyasa Flow and Restore. This class offers a wonderful blend of a flowing Vinyasa practice and relaxation. 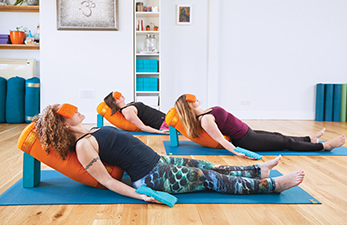 To complete your practice, the relaxation section of the class will help you create space from the day-to-day demands we place upon ourselves to create a sense of mental and physical well-being. Gentle Yoga and Meditation. This class offers a guided meditation and gentle restorative Yoga postures. The benefits of meditation are many: stress relief, reduces blood pressure, greater focus and concentration, having a greater understanding and acceptance of ourself…to name only a few. The restorative Yoga postures allows the body to passively let go and relax. This class is the perfect mind/body tonic. Yin Yoga. This is a slower paced class, where postures are held for longer. It is a wonderful class to relieve tension and stress in the hips. legs and back. It’s the perfect compliment to the more flowing, dynamic classes. With the fast pace of life, slow down your practice and relax into a gentle restorative practice. It’s the perfect antidote to the pace of modern life.